The dream started with the youth ministry many years ago. As our children grew into teenagers, they then moved on to high school and graduated. 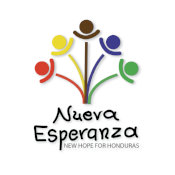 Nueva Esperanza was in a position to start thinking about what would happen to our graduates. After graduating with their high school diplomas, some were able to find jobs while many others moved on to pursue undergraduate degrees at the local university. For several years we were happy to see our children grow and make something good out of their lives. Their success was exciting to watch. However, as the situation in Honduras continues to deteriorate socially and economically, it becomes nearly impossible for people to find jobs even with a high school or college degree. At Nueva Esperanza, we believe we have an opportunity to give our youth the ability to succeed. As jobs become scarce, we have found that on top of education, our youth would benefit from learning a trade in order to provide for themselves. We knew that in order to do this, we’d have to find a place for our youth to learn the trade of their choosing. Nueva Esperanza bought a small piece of land over 10 years ago as the first step towards this goal. With lots of patience, Nueva Esperanza has now purchased enough land to start working with the city on architectural plans and permits to start building a training center for our youth. Although nothing about the Youth Vocational Training Center is set in stone, we have a clear picture of what we want the building to include. Our desire is that this center would serve as a way to bring people together as a larger community and give our children the tools with which to thrive in Honduras. We want this youth building to possess enough space to serve many different purposes. We hope to have parking, storage, apartments for interns, and offices for the Nueva Esperanza administrative staff. To teach trade skills, we would love to have automotive, plumbing, and electricity labs as well as spaces to teach our youth about masonry, computer systems, cosmetology, law enforcement, and security. We also want this center to be built with an auditorium, a pastoral office, and clinic for dentistry and medical check-ups. Lastly, we’d like to incorporate a sports arena. Our children love soccer, and we want to provide a safe space for them to have fun and fellowship with one another. It’s an ambitious dream, but we are working to share our vision in order to raise funds to cover the costs in making this dream a reality. If you’d like to donate, please donate here. If you’d like more information on this vision, contact us!